Chris is a 1981 graduate of Syracuse University’s S.I. Newhouse School of Public Communications and holds a bachelor’s degree in journalism. His first job in broadcasting was as a high school volunteer at the Armed Forces Television station in Berlin, West Germany. 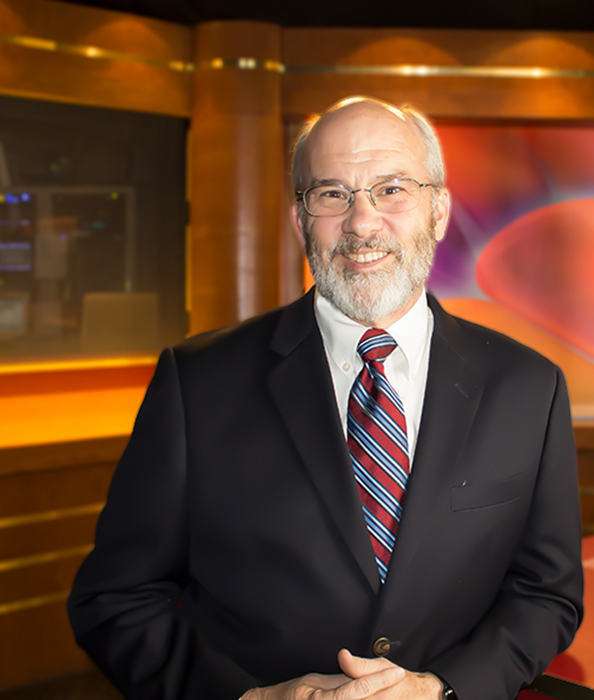 Chris has worked in local and network newsrooms for more than 20 years, including WFSB-TV in Hartford, Conn., KMOV-TV in St. Louis, Mo., CNN Headline News in Atlanta, Ga., and NBC News Channel (NBC News’s video feed service for its affiliates) in Charlotte, N.C., and Washington, D.C. In addition, Chris, who is a private pilot, has worked as media relations director for two aviation associations. Chris is a second generation journalist. His father, John Dancy, was an NBC News correspondent for 30 years, where he covered the Carter White House, the U.S. Senate, the U.S. State Department, the 1963 March on Washington, and numerous Apollo space missions. Chris and his wife of 28 years, Denise, moved to Rapid City to be close to her family. Chris and Denise have two grown sons. Rapid City marks inaugural Hockey Day in S.D.